The entry to Robert Venturi's Vanna Venturi House (1959-64) exhibits a studied similitude of the entry of Lutyen's Folly Farm. 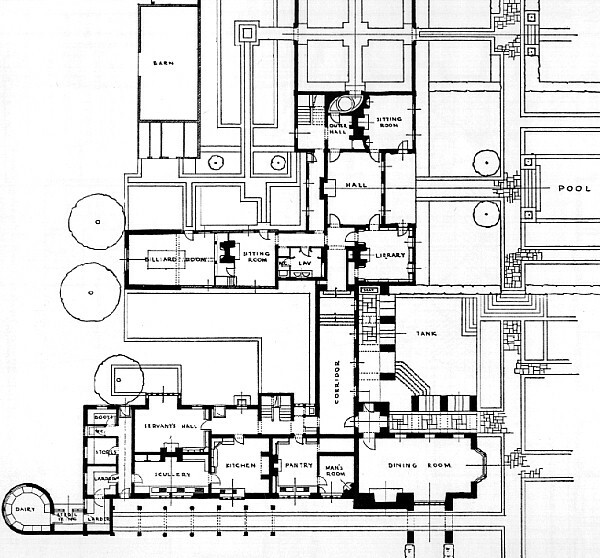 Sir Edwin Lutyens, Folly Farm (Sulhampsted, Berkshire, England: plan, 1906). 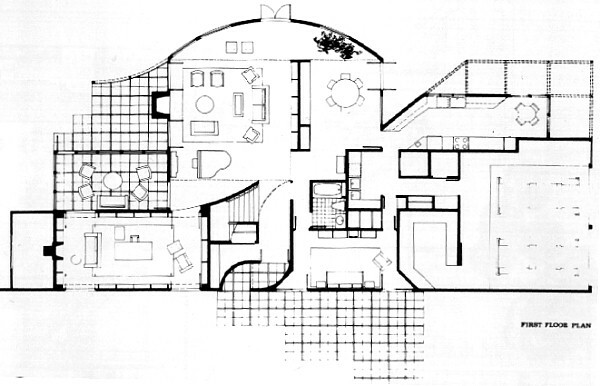 And the entry of Stern and Hagmann's Lang House (1973-4) exhibits a studied similitude of the entry of Venturi's Vanna Venturi House which fully reflects the entry of Lutyen's Folly Farm.